We so loved Victoria on Vancouver Island that we decided to drive through part of Canada on our way east. In honor of Canada's 150 birthday celebration all park access was free for the entire year, how could we turn down a deal like that? A quick detour to Oregon to visit sailing friends that have since started RVing part or full time. A great time was had by all! We drove north after our Cruisers Rondesvous in Oregon and crossed the border in northern Idaho. We had expected to have to declare many items including fruits, vegetables and alcohol. We had all the medical paperwork ready for DeeO'gee. Instead, we simply answered a few questions about where we were going and what we had on board, then we were sent on our way. We have heard of others that had experienced a lengthy search of their RV, but I guess we must look pretty harmless. 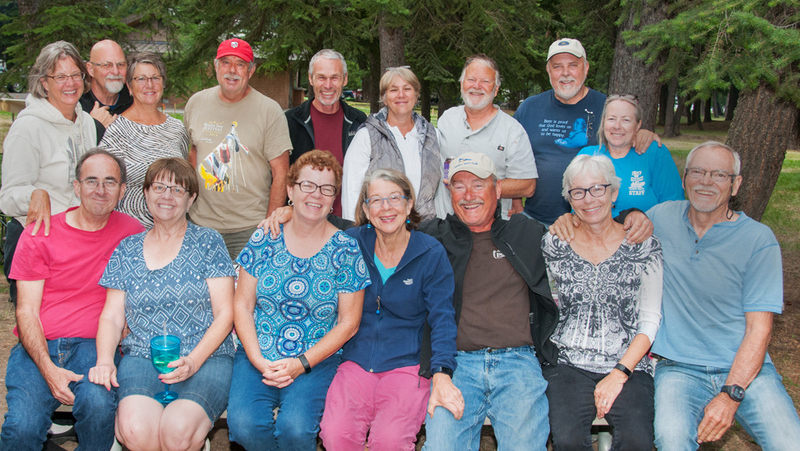 Four of Canada's National Parks crowd together in the northern Rockies. Kootenay, Yoho, Jasper and Banff often share borders and it's hard to tell when you leave one and enter another. 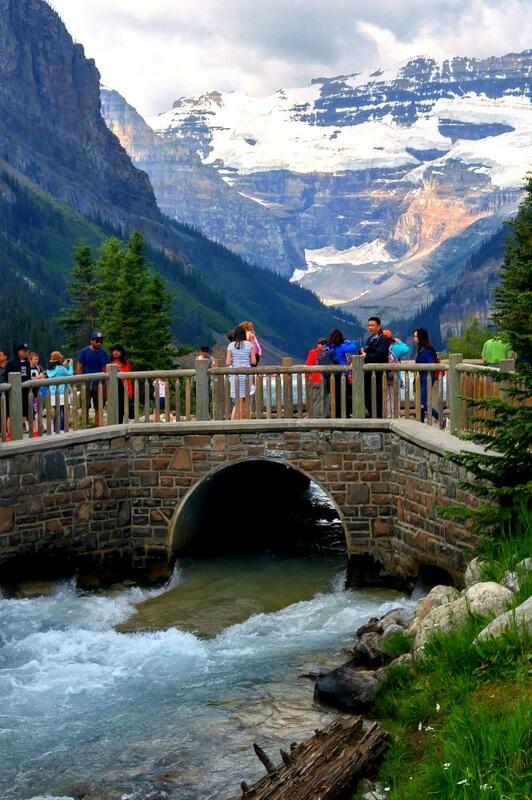 Banff is Canada's first National Park and one of the oldest in the world, preceeded by Yellowstone. As I researched this I found that some say that Bogd Khan Uul Mountain is actually the oldest national park in the world designated by the Mongolian government 100 years before. Either way....I am happy our forefathers were concerned about protecting our natural wonders. 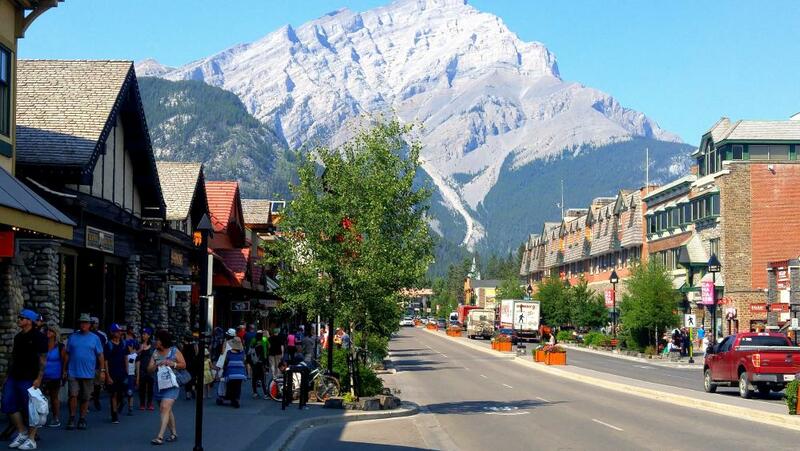 The town of Banff is picture perfect! An alpine resort and ski town with chalet style buildings nestled amonst the towering mountain peaks. This area is also famous for it's 19th century hot springs that are still open to the public. 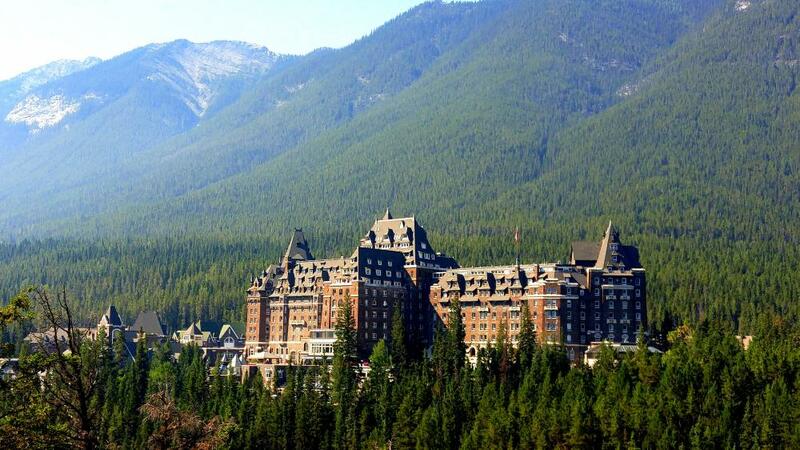 Almost every national park has its historic hotel and in Banff it's the Fairmont Banff Spring Hotel. Also known as Canada's Castle in the Rockies, a night there starts around $500, indeed this is not an area for travelers on a budget! Lake Louise is a stunning glacial lake, the vibrant turquoise color is a result of the rock flour created from the glacial run off. 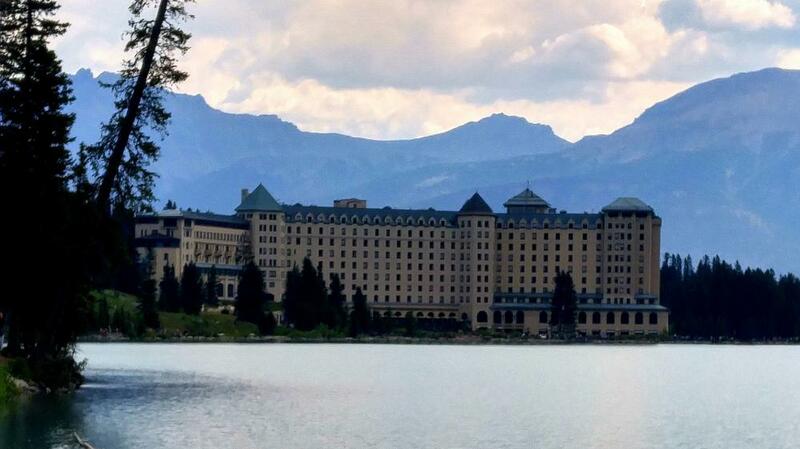 Another historic hotel, the iconic Fairmont Chateau, sits on one end of the lake with the majestic Victoria Glacier at the other. A lovely walkway spans the distance. 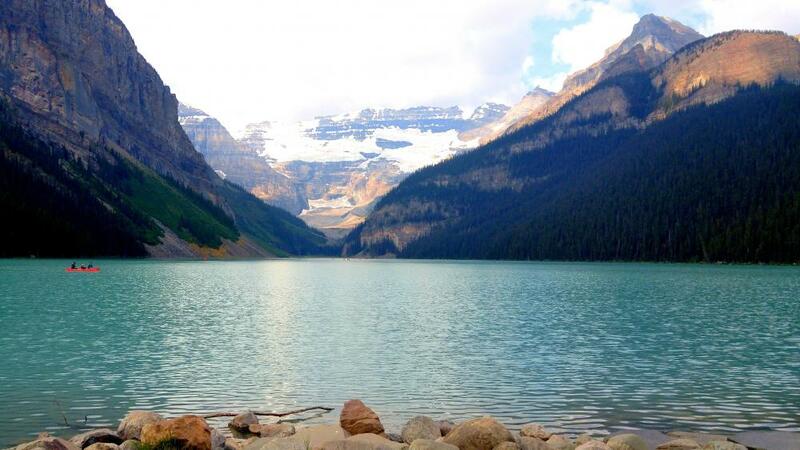 Lake Louise, in my opinion, is the heart of Banff National Park. Canada's park system clearly has a more generous budget than America's. Roads, campgrounds and even overlooks were pristine. 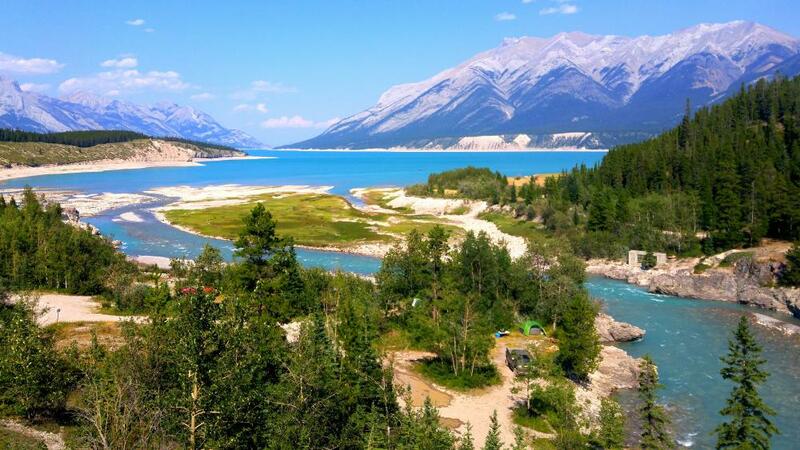 The drive to Jasper on the Icefield Parkway is one of North America's most rewarding experiences. 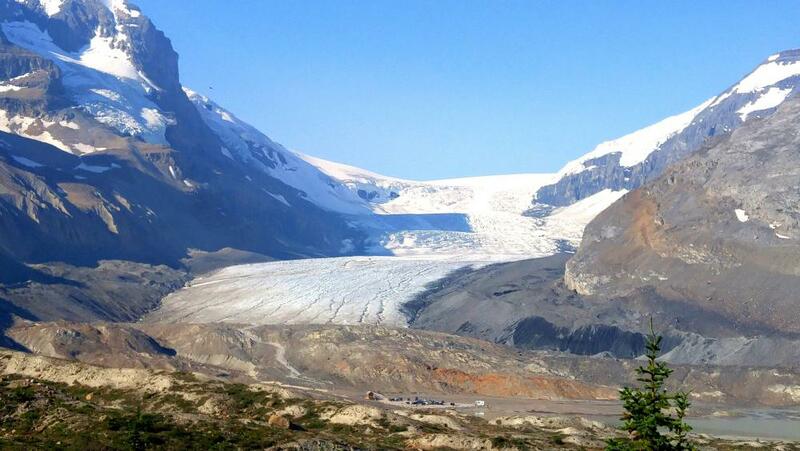 A unique landscape includes numerous glaciers including the famous Columbia Icefield. Raged peaks, valleys and te resulting mountain lakes and waterfalls line the entire route. We were glad to drive it in both directions so we didn't miss anything. Mt Robson, the highest point in the Canadian Rockies overlooks the town of Jasper. Just outside of town is the SkyTram. 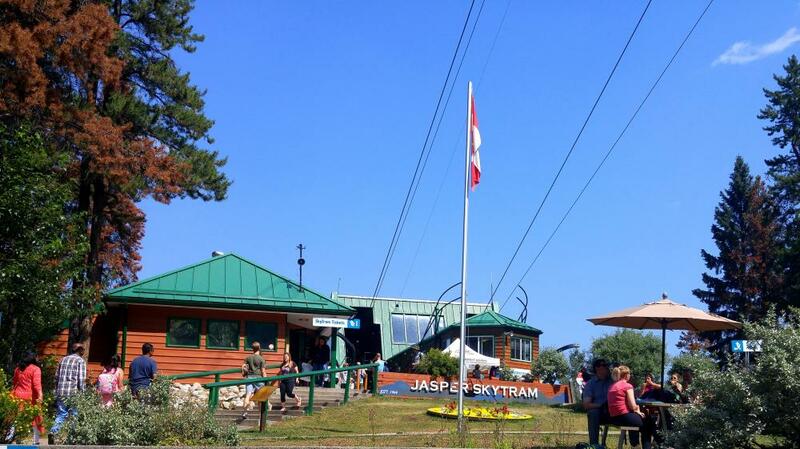 The highest and longest aerial tram in Canada, it crests Whistler's Mountain at over 7,400 feet. Our fur baby wasn't allowed and it was a sunny warm day so leaving him in the car wasn't an option. Maybe next time! 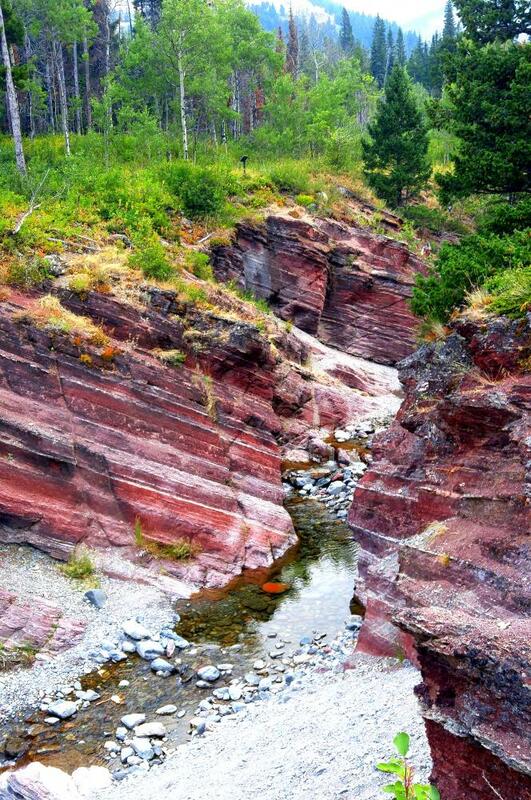 Our favorite park that we visited was Waterton Lakes. 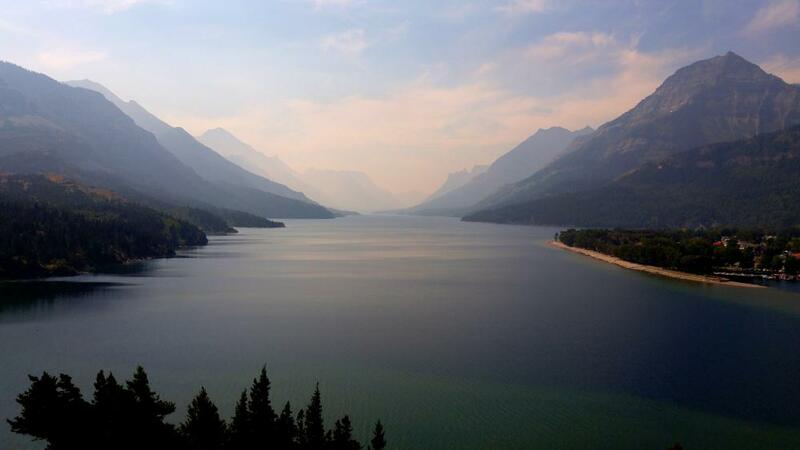 This chain of lakes is located on the border north of Glacier National Park and together creates the worlds first International Peace Park. 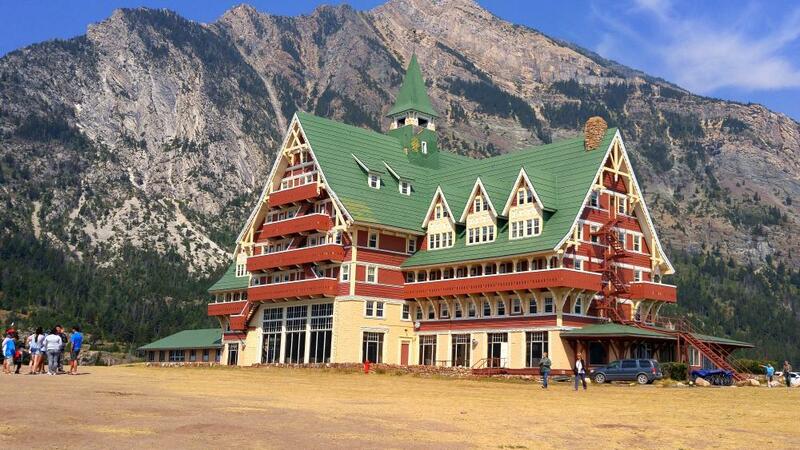 Another historic hotel, Prince of Whales overlooks Upper Waterton Lake and it's stunning views. Hiking the trails through Red Rock Canyon that led to Blakiston Falls, strolling Cameron Lakeshore or walking through town DeeO'gee was a welcome guest. Most U.S.N.P. restrict dogs to paved surfaces which is an extreme disappointment. The last park was a mistake! We decided to visit one more before heading back to the U.S. and Grasslands was located just north of the border of eastern Montana. A long gravel road beat us up pretty bad and Toad needed a new windshield when we left. Pretty much the same terrain as Theadore Roosevelt or most of the Dakota's it is one to be missed. Crossing back into the U.S. was as easy as leaving. No search ensued and nothing had to be thrown out. We were glad we went and will definately go again.